Disney announced the official opening date for Mission: Space and revealed details about the new Green Mission as well as the official reopeing date. 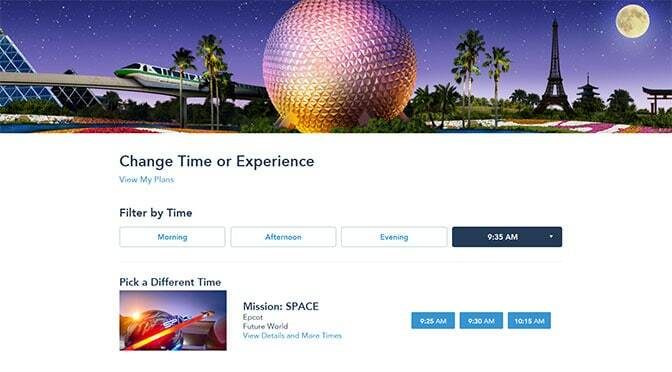 Fastpass is now available as well! Mission: Space will reopen in Epcot on August 13, 2017 with an all new Green side mission that will take “families” on a mission that will circle the Earth. Disney made it more family friendly by lowering the height restriction on the GREEN Mission from 44 inches, downt to only 40 inches. The ride will offer special booster seats for those between 40 and 44 inches in height. The only change to the Orange Mission is that the more intense mission will now feature High Definition video. Fastpass is available beginning August 13, 2017 as well. Hi Kenny! Good news to make it more family friendly! But they should also change the trip to mars for another planet or even better another solar system. Thank you for the update! We head to the world 8/23, and we’ve been hoping MS would reopen. Our 6 year old is space crazed! I’d like to know if there is any force applied to the bodies, similar to the Orange Mission. If so, I wouldn’t want to take my 6 year old on it. Looking forward to hearing others feedback on it once it’s up and running! It doesnt’t spin. It only tilts and they are even lessening that. We picked up a FasyPass for our Sept trip. Excited to accept the new mission!